If you saw my Father's Day Gift Idea post then you'll know L'Occitane have recently launched their own fragrances- Colognes. They've launched 3 different ones the first Eau Universelle which has a zesty scent perfect for both men and women, this is sunshine in a bottle! 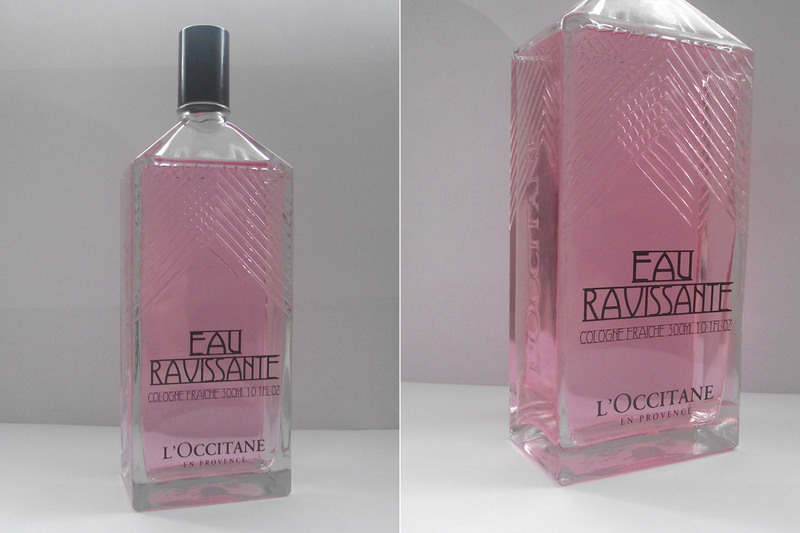 Second is Eau Ravissante which is a floral scent for women and looks amazing in the bottle don't you think? 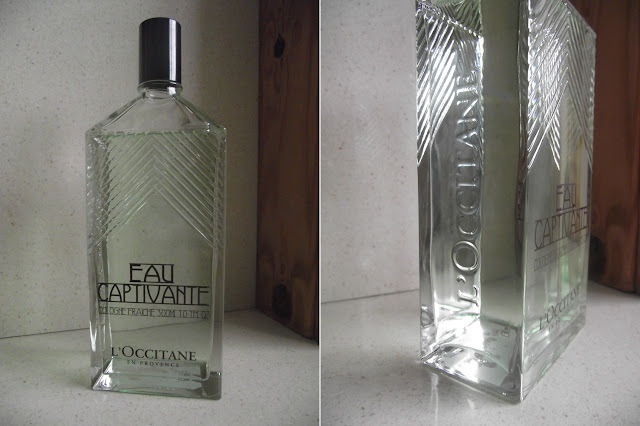 Lastly is Eau Captivante which is a stimulating aromatic fragrance- sounds a little raunchy don't you think? ha ha. In case you didn't already notice, these bottles are HUGE! They're 300mls which will last you for a long long time, they do come in a more handy 50ml handbag size spray which may suit you more. Because these are colognes they do not have a spray which for someone like me is lethal. I'm clumsy at the best of times so I knew this wasn't going to be a pretty sight unless I did something about it so... thankfully I so happened to have a spare atomiser which was laying dormant in my drawer. I've been spritzing away lots and love the floral sparkly scent, this is MY kind of perfume for spring/summer months. It has a mix of floral aromas and citrus notes, also containing essential oils of Mediterranean bergamot and damascena rose. So if you're a rose junkie like myself you need this in your life. Have you seen the new Colognes? I can't wait to try them. The bottles are huge!